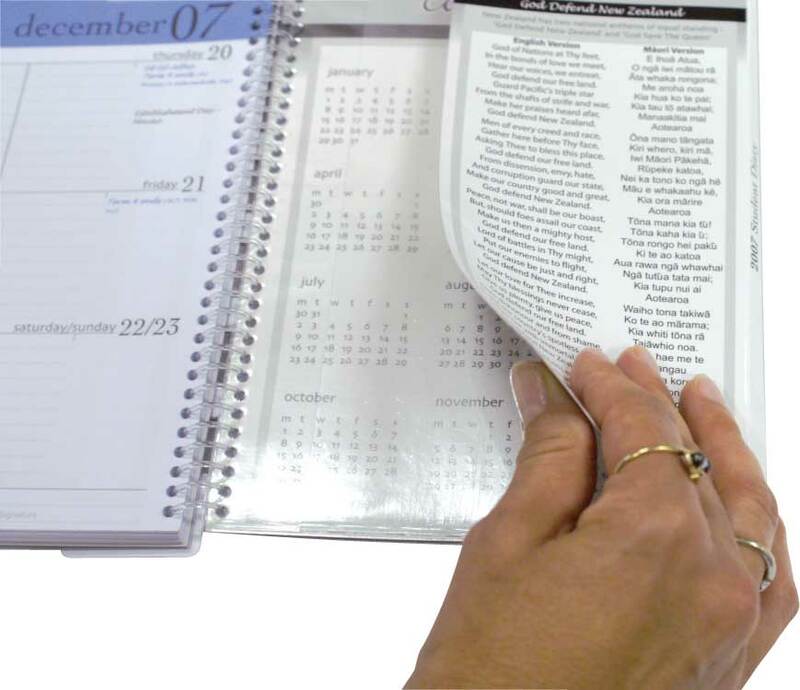 The covers of spiral bound diaries may be printed in full colour on a laminated card stock, or alternatively you may choose a durable PVC material. Be as creative as you like! Design your own cover to include a photo of your institution and logo. It’s an opportunity to involve your students. 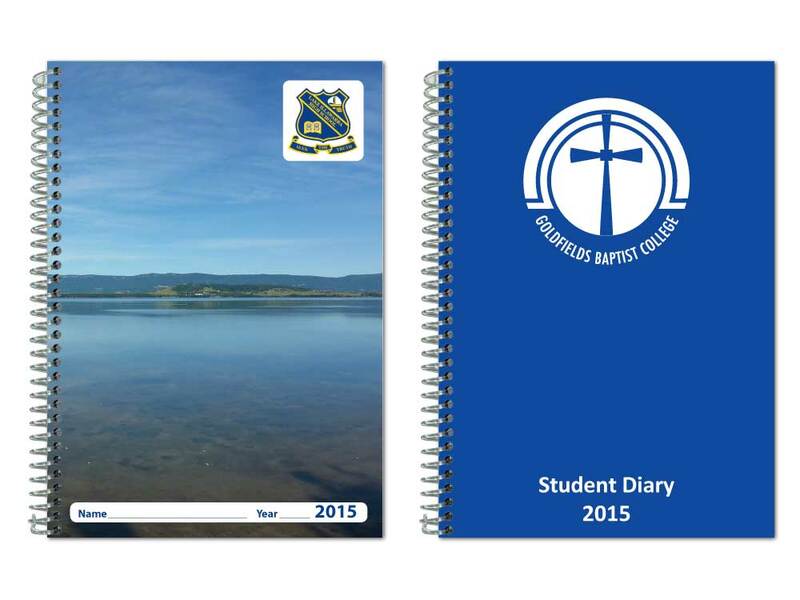 Usually we print card covers as specified above, however if you are after a custom diary you may specify the stock material and lamination you require. We can also do spot lamination and other effects! You may choose to have a colour PVC cover to match your institution’s colour and have your institution’s name and logo screen printing in another colour. If you have a specific cover type in mind that isn’t mentioned here, just let us know as we are confident we can offer it to you!